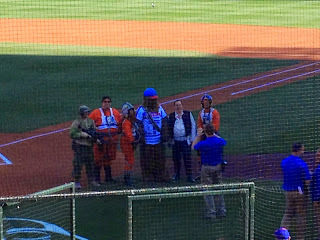 Normally a trip to Buffalo is not nearly enough to excite me; however, last weekend was the Buffalo Bisons' annual Star Wars baseball game. 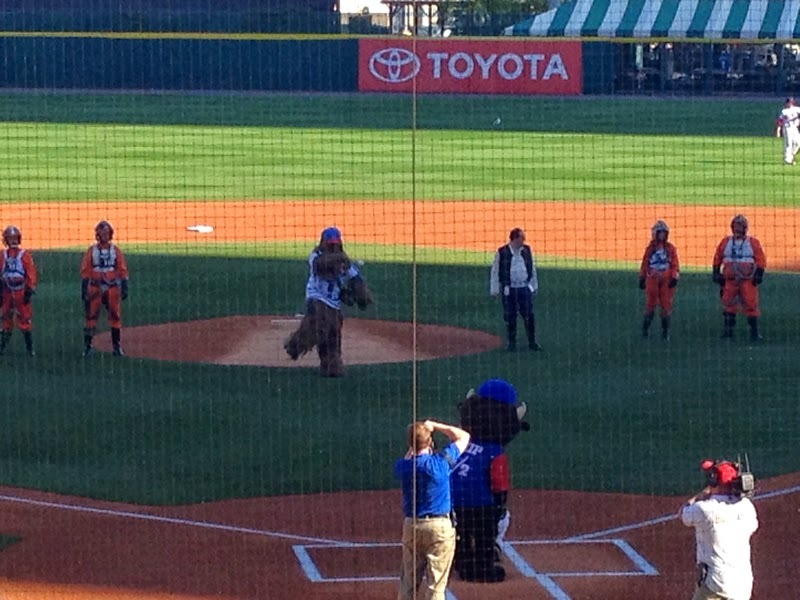 Star Wars and baseball, together at last. Last year, I thought it was a joke: a cruel, horrible, twisted joke that was being played on me when I was told about this annual themed game the Buffalo team organizes to raise money for charity. Of course I went, and of course it blew my mind, so when I had the opportunity to go back, I made the Kessel run (for my credit card) in less than 12 parsecs. I timed it. 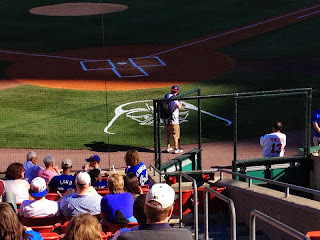 First thing I noticed when I got there was home plate. I know. Just breathe and we'll get through this together, I promise. Then these guys showed up and I lost my damn mind. Chewie threw out the first pitch and he was magnificent. 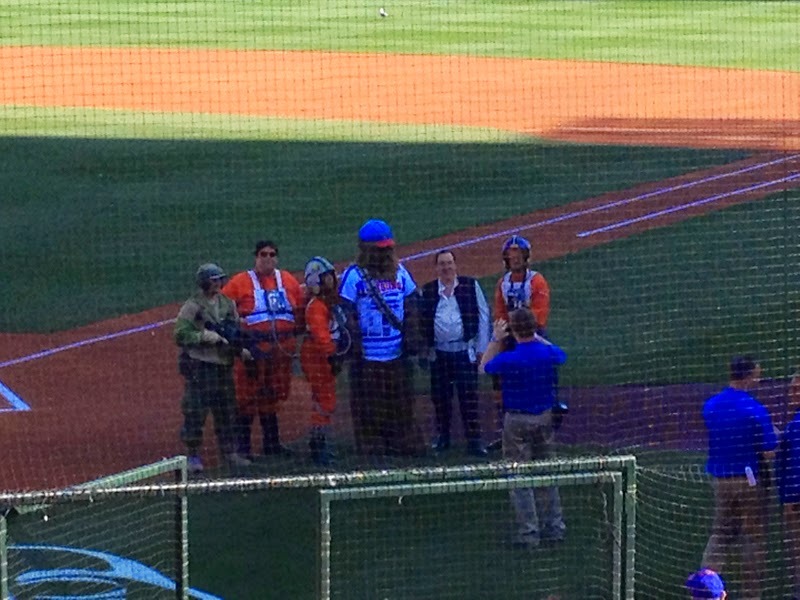 The stands filled up with people wearing either Star Wars t-shirts, costumes, or Toronto Blue Jays gear. I thought that people were just being jerks then I found out that the Bisons are actually Toronto's Triple A team, which made the sea of blue more tolerable. 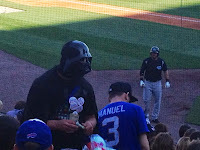 Yup, Darth Vader selling peanuts and cotton candy to children. I had to show my friends the photo because they didn't believe me. Apparently, this guy does costume changes throughout the game, and it's epic. 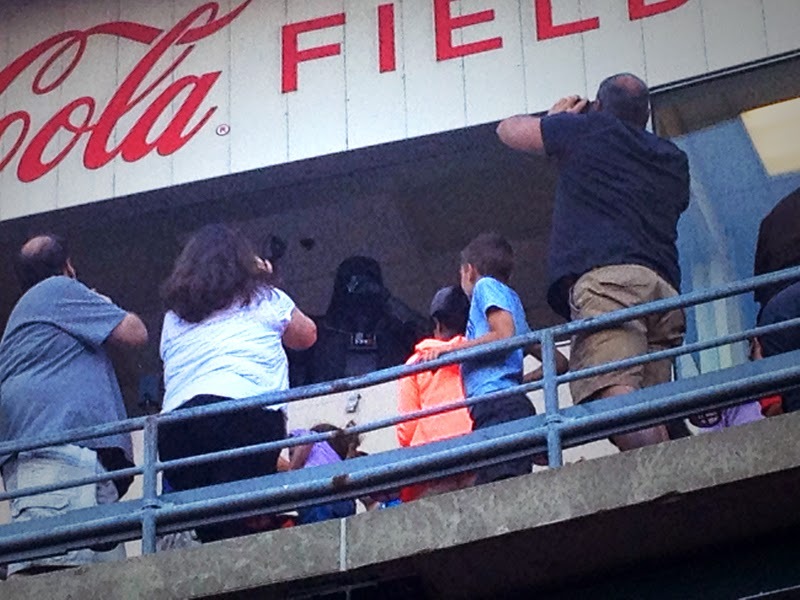 Speaking of epic, at the seventh inning stretch, Darth himself took over the mic and belted out a breathy rendition of "Take Me Out To The Ballgame." After that, there were a series of short videos that the ballpark staff put together: the ongoing saga of the Empire trying to take over the Coca Cola Stadium. Unfortunately, I didn't get any video. I was too busy watching it and forgot until I was reminded that I should probably "get that." I tried my best, but I couldn't get my companions to geek out with me until the very end. 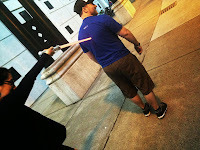 Part of our ticket package included a "lazer sword," and my friend Tea immediately took it because it lit up and made sounds. After the game, she ran behind her boyfriend Kyle and took every opportunity she could to stab him with it. Next theme night is June 28th: Zombie Baseball. Interested? Go here for tickets and more information. What about you guys? Have you even been to one of the themed night in Buffalo or anywhere else? Tell me all about it: I'm always looking for neat stuff like that.